Bloomsbury has revealed the EIGHT new covers for Harry Potter and the Philosopher’s Stone to celebrate the book’s 20th anniversary. 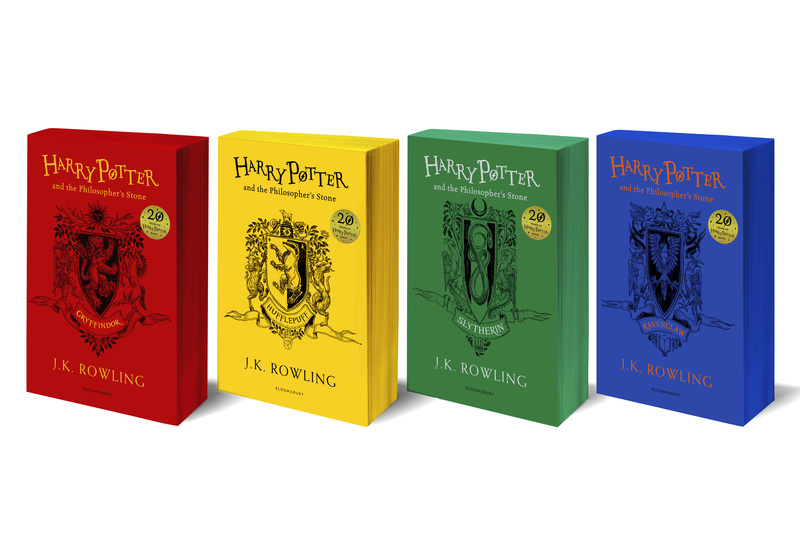 They are based on the 4 Hogwarts houses and there is a separate cover for both the hardcover and paperback versions. Photos of all the covers can be viewed in our gallery! 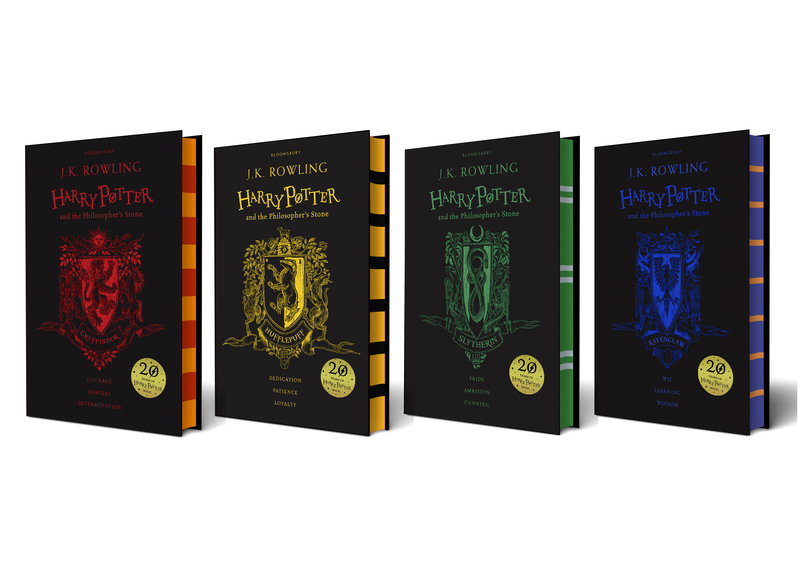 Bloomsbury Publishing is excited to unveil the covers of the eagerly anticipated 20th Anniversary House editions of J.K. Rowling’s Harry Potter and the Philosopher’s Stone. Illustrated by Levi Pinfold, Kate Greenaway Medal winner, the front covers feature the crest for each Hogwarts house in vibrant house colours. Levi took his inspiration from traditional heraldry and coats of arms and combined this with typical characteristics of each house to create crests that embody the values of the house. Head to Pottermore.com to find out more information on the creatures, symbols and shapes used in each crest. Publishing in celebration of the 20th anniversary, 26th June 2017, there are complementary hardback and paperback jackets of Harry Potter and the Philosopher’s Stone. The hardbacks will be black with the house crest in a house colour and striped sprayed edges. The paperbacks will reverse the house colour theme and have single colour sprayed edges. Both editions will contain fascinating facts about the houses of Hogwarts, and three specially commissioned house illustrations from Levi Pinfold per book. Books will be in stores from the beginning of June. Harry Potter and the Philosopher’s Stone is the book that started a global phenomenon. With an initial hardback print run of 500 copies, it has now sold over 90 million copies worldwide. It is the book that put Harry’s destiny in motion and created a whole new generation of readers. It is hard to think now that before 1997 none of us knew about Hogwarts, Quidditch or Voldemort. The Harry Potter novels have now sold approximately 450 million copies worldwide and have been translated into 79 languages.